Polished hairstyles will never go out of style but messy chic hairstyles have taken front stage from the polished updo. Ladies everywhere have been embracing their natural texture and imperfect hairstyles and they are simply irresistible. Perhaps the new(ish) found love for messy chic hairstyles is partially in part thanks to the growth of Pinterest. Pinterest has inspired many of the latest hairstyles as women share and love gorgeous hairstyles. 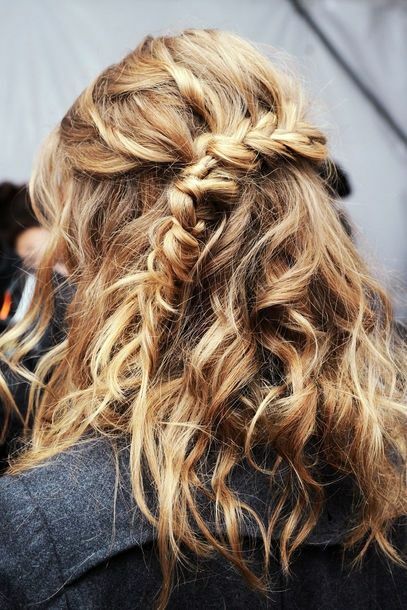 Here are some of our favorites messy but trés chic Pinterest hairstyles. The fishtail braid is a favorite in the Pinterest-sphere and it’s the fishtail is done best when it’s messy. This twisted back half-up do complete with a messy fishtail braid and textured hair is fabulous. Polished twist and buns can be impossible. This loose and romantic twisted hairstyle that is completed with a low messy bun might take a lot of bobby pins but it’s a perfect look for a wedding and just about every other summer time event. This bouffant and bun hairstyle has been repined on all of the major hair boards and for obvious reason. This teased hair looks perfect with the messy bun at the nape of the neck. If you have naturally wavy or curly hair then you know that straight or polished looks are almost impossible but you don’t need them for these messy waterfall braids. 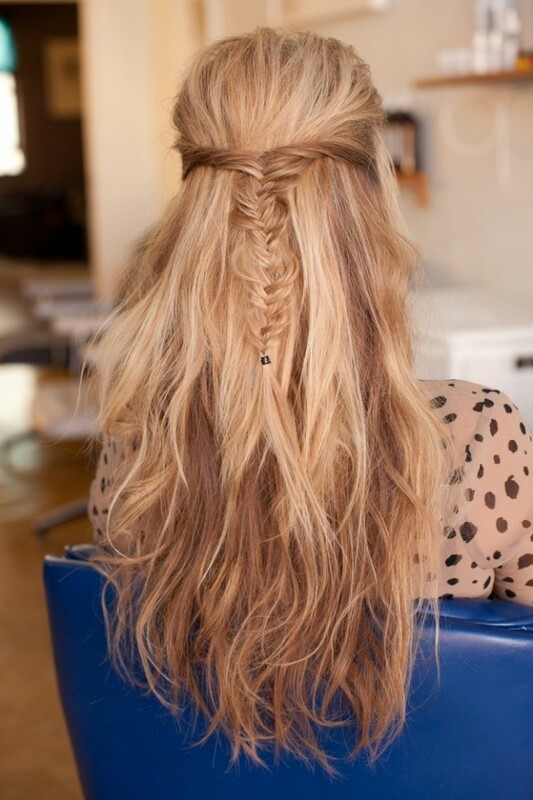 The waterfall braid only goes half way around the head and is finished off with a messy braid. The milkmaid braid, hippie braid, crown braid – and any other name you might have for it is one of the most popular and loved braids on Pinterest. 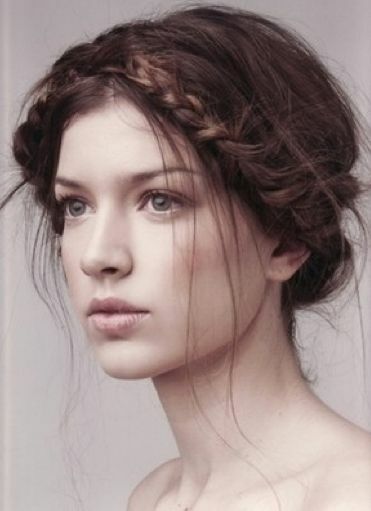 This style of braid can be perfectly polished but it definitely looks better with a loose and messy style. Who doesn’t love a bright and bold hair scarf? 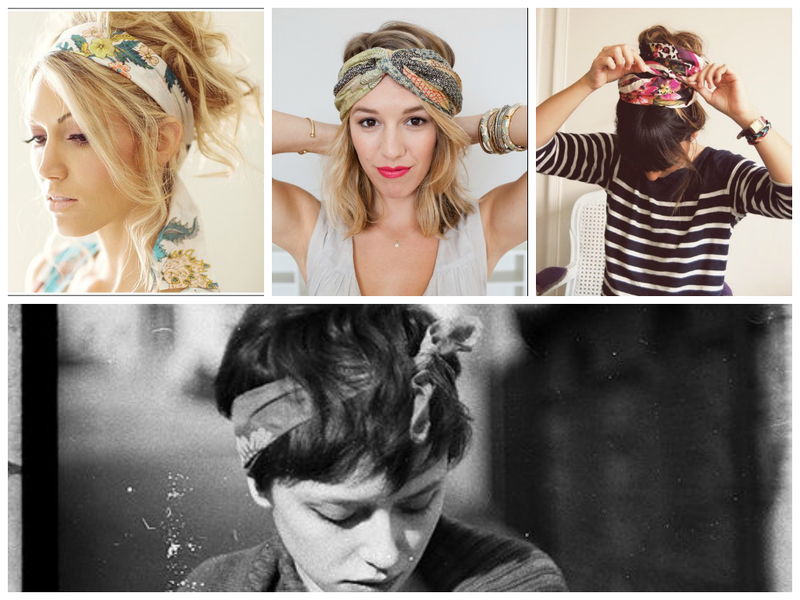 A hair scarf is perfect for second-day hair and so are messy chic hairstyles. One of the favourite hairstyles with the hair scarf is a messy topknot but messy half up do’s are just as beautiful. This works of both long and short hair too. Sprucing up a messy bun is easy as pie – just add a braid or two through the front of your hair that finishes in the messy bun. Pinterest is full off these gorgeous hairstyles ideas. You don’t have to get out the bobby pins and hairspray to complete messy looks. A messy (and perhaps unbrushed) ponytail can be really beautiful. Its nonchalant but chic allure will have everyone focus on the chic and not the “mess”. You can’t talk about messy chic hair without beach waves. 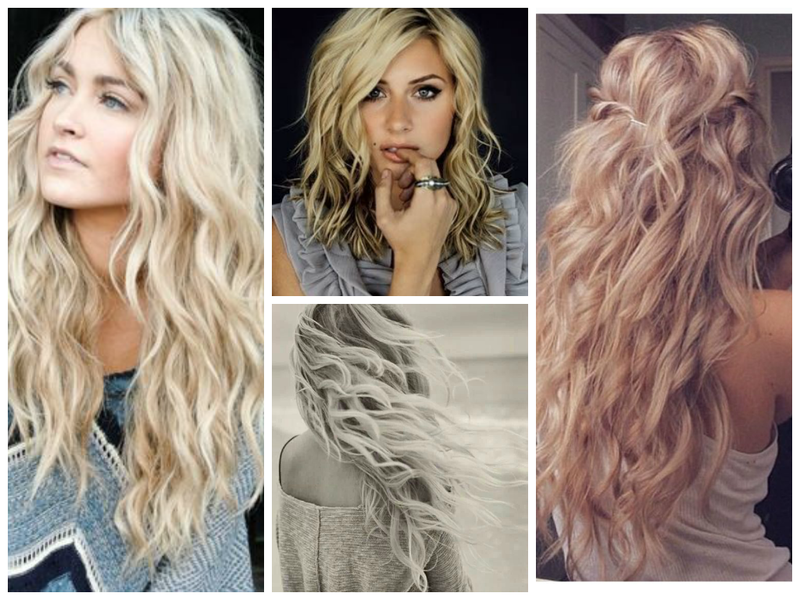 Pinterest is a great place to look for tutorials, tips and inspiration on perfecting the beach hairstyle – and it will probably inspire you to become blonde.